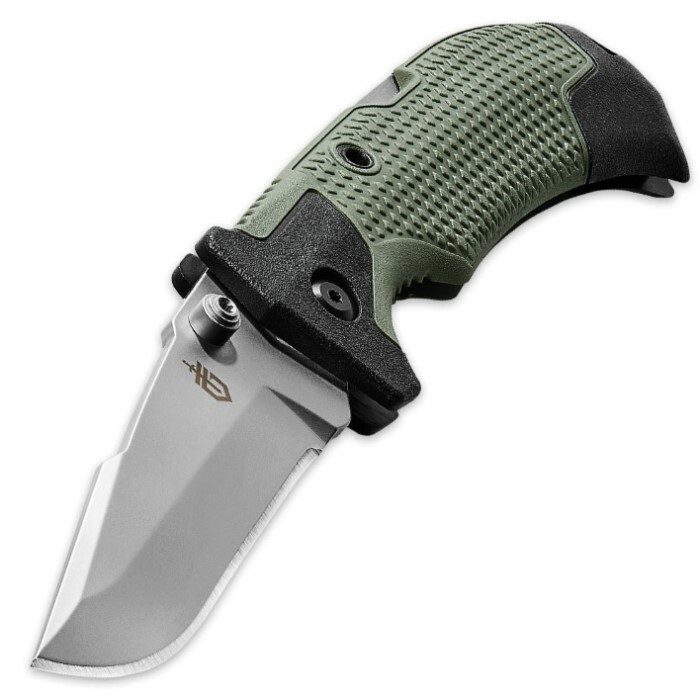 Gerber Edict Pocket Knife - Green - Made in USA | BUDK.com - Knives & Swords At The Lowest Prices! 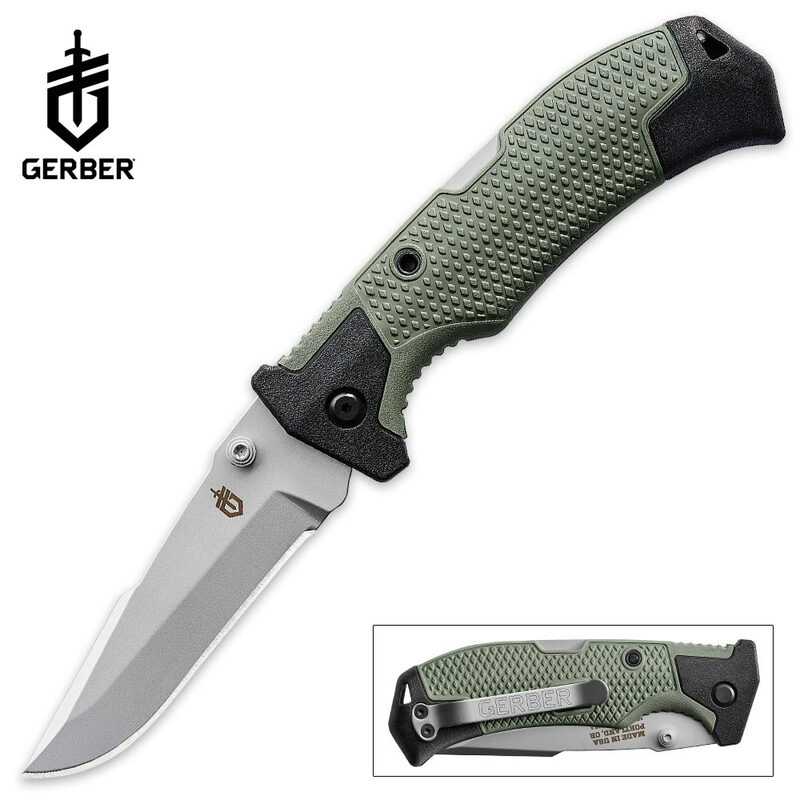 The Gerber Edict is a favorite of firefighters, law enforcement, soldiers and other men and women whose line of work often yields harrowing situations and harsh conditions. These public servants need a pocket knife they can rely on in challenging circumstances and settings, and this truly exceptional American-made assisted opening folder is their go-to time and again. The Edict features a 3 3/5" tanto blade forged from premium 154CM steel for superior edge retention. Gerber shrouds the blade in an advanced black ceramic coating that maximizes corrosion resistance while minimizing light reflection. Dual sided thumb studs allow for quick one-handed blade deployment, and the Edict's lockback closing mechanism provides structural integrity in heavy duty applications. The glass-filled nylon handle is built with a large palm swell, a finger guard for vigorous cutting tasks and a rubberized diamond texture for a secure grip in all weather conditions. Truly engineered for hard labor over the long haul, at nearly 5" closed, it's also perfectly sized for comfortable everyday carry. Clip it to a pocket or belt for daily access. Rest assured, it will answer with strength and assurance when tasked. Or tie it down for additional security using the integrated lanyard hole. 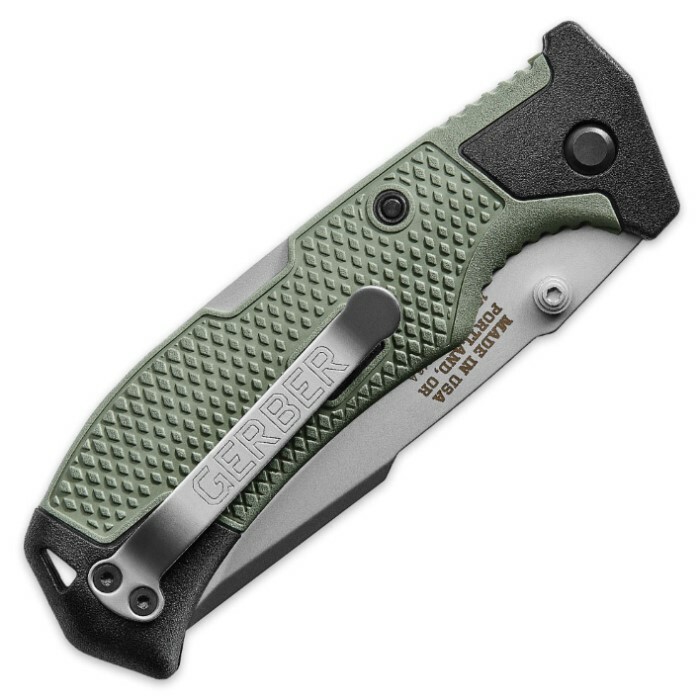 Regardless of how you carry it or what you use it for, the Gerber Edict Assisted Opening Pocket Knife will perform with gusto - day after day, year after year, decade after decade. Proudly made in Portland, Ore.